LOL! Yeah, so about those plans to avoid impulse sewing and focus on anything but historical costuming. Totally didn’t work out. I caved at the first opportunity and have spent the past three months at least focused on creating an 18th century ensemble for a recent visit to the Metropolitan Museum of Art in NYC to see an exhibition of 18th century paintings by Elisabeth Louise Vigee le Brun. And I didn’t even get that ensemble totally finished! Sigh. Well, over the years, I’ve learned the fastest way to get me to do exactly the opposite of what I know I should do is to make a plan to do what I know I should do (get the logic there?). In any case, the unfinished 18th century ensemble is put away for now, waiting for some essential fixes. You can read all about it on my other blog, Belle Mode Belle Histoire, if you’re curious. If not, know that I really really really WILL be starting real-life, modern sewing projects very soon. Because I need clothes to wear to work. In fact, I have a fourth True Bias Sutton Blouse all cut out and waiting for me on my work table. It’s been there since January. 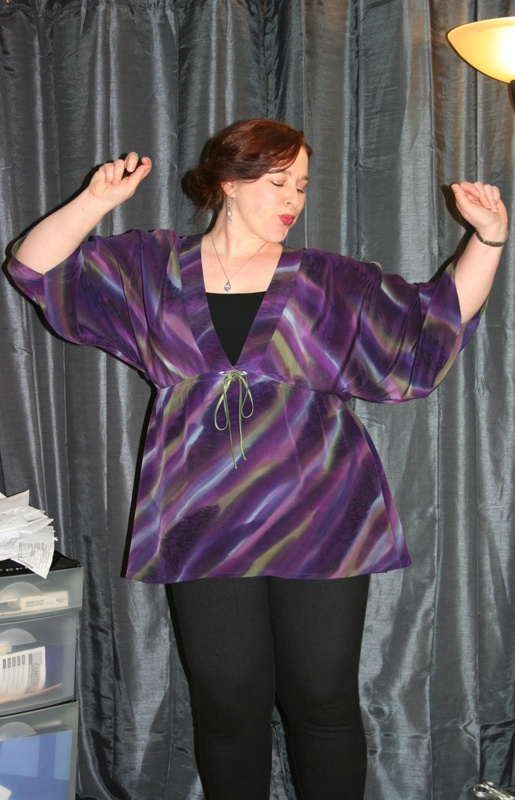 And I have a slew of other blouse and pants patterns I want to tackle before summer really gets underway. And I have a cocktail dress to finish so I can wear it to a friend’s wedding in September (that will make 2 full years since it was cut out and basted to its underlining–that’s how long it’s been sitting in my admittedly small UFO pile). So, back to it. It will begin this weekend. What did I say just three paragraphs ago about making a plan…? No, no, this time I WILL stick to it. I have no more reasons to take up a historical costume project for several months. Stay tuned.